doodlesbyme.wordpress.com - An illustration about a typical day and what role the tablet plays in my life! gurleenkaur26.blogspot.in - I use my tablet to carry my world wherever I go. hookedonhomes.net - How to organize your life and home on a tablet PC... and so much more! lifeisavacation.wordpress.com - Yoga Karmasu Kausalam !! 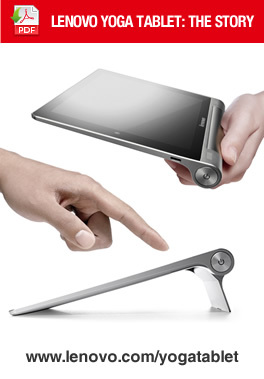 mothermanju.blogspot.in - All you need is this, Yoga Tablet! zoonisview.com - I want the Yoga Now!